There are plenty of options for eating out in Bigbury-on-Sea area. 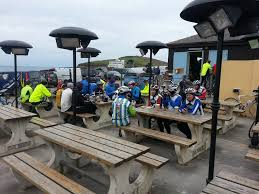 The local area of Bigbury-on-Sea is well served by a number of excellent restaurants, pubs and cafes with a wide selection of drinks, snacks and meals. 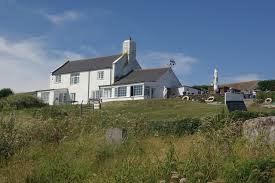 If you want traditional fish and chips they can be obtained from ‘Fryer Tuck’s’ which is by the beach in Challaborough. Our two local Favourites: are the Journeys End pub in Ringmore and the Oyster Shack. 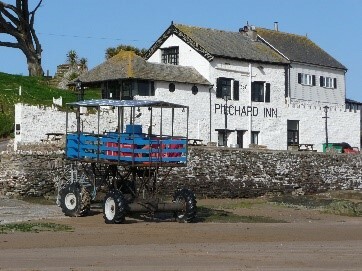 The Pilchard Inn, Burgh Island has been quenching the Island’s thirst for over 700 years. It first served the fisherman who lived on the Island and mainland shores, then the smuggler and wreckers who lured ships on to the western rocks and now serves hotel guests and the public. In walking distance across the beach when the tide is out, or accessed by the tractor when the tide is in. The non-residents bar only serves a limited food menu during the week but the Friday night curry evenings are well worth trying out (Tel: 01548 810514). Unfortunately The Royal Oak, Bigbury, which was the local pub in Bigbury village has now closed. This is the 1930’s art deco hotel made famous by guests such as Agatha Christie and Noel Coward. They do an excellent Sunday Lunch or you can join them in the evening for a dinner dance, but don’t forget the black tie! Black tie dinners include canapes, three courses and coffee and petits fours. On Wednesdays and Saturdays throughout the year there is live music from an inhouse band. Please phone to book (Tel: 01548 810514). The Venus Cafe, Bigbury on Sea Beach cafe, popular with surfers and families is on the back of the beach on the lower car park. 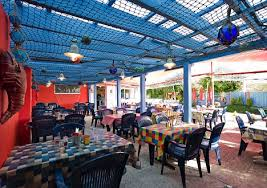 They are open all year for drinks, snacks and meals on an al-fresco basis. They also provide takeaway food for the evenings in the summer. The Venus group has also gained a Gold award from the Green Tourism Scheme and sets out to be an environmentally friendly cafe using top quality locally sourced food (Tel: 01548 810141). There is also the Bay Café up behind the main car park. Unfortunately this Café has been closed. 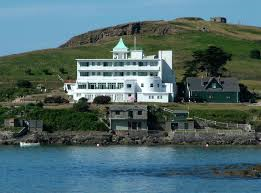 However the new owners of the Burgh Island Hotel have bought the site and have announced plans to reopen – watch this space. 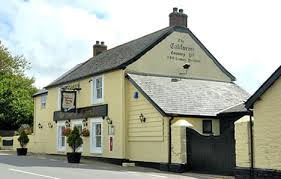 Most of the other local pubs and restaurants require a short car journey. In general, they all offer value for money pride themselves on using fresh locally sourced produce wherever possible. As opening times and menus vary it is best to ring to ring and check details in advance. The Mediterranean themed Oyster Shack is a great place for fresh locally caught seafood including local oysters from the River Avon. 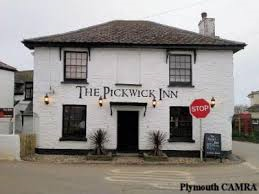 Located on the Tidal Road to Aveton Gifford, it was voted the Top 3 Best Devon Restaurant in the Devon Life magazine 2010. They welcome families and will also supply picnics (Tel: 01548 810876). 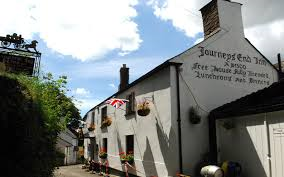 Should you want to experience the history of the local area, try the 13th Century Free House the Journey’s End Inn in the village of Ringmore (dogs welcome). They serve great food for lunch and dinner (Tel: 01548 810205). 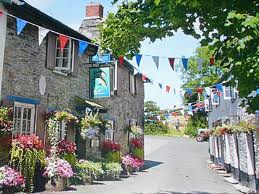 There are several good locally sourced eating places in both Modbury and in Kingsbridge. 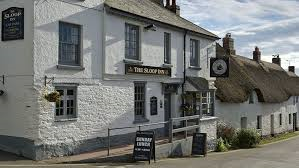 Modbury has the White Hart Hotel, the Exeter Inn and a local Wine bar, Bistro 35, while Kingsbridge has The Crab shell Inn, The Cricket Inn and The Old Bakery to name but a few.